Anees Bazmee’s Welcome is one of the most underrated comedies of recent times. However, over the years, it has become one of the most watched films on TV. In fact, its situational comedy is a lesson in comic timing and how to carry off a slapstick humour. This amazingly funny film revolves around an eligible bachelor who falls in love with a gangster’s sister, and how he creates confusion to have his way. Since then, Bazmee has directed Singh Is Kinng, No Problem, Thank You, Ready and Welcome Back. All these films had the theme of marriage at the centre. Singleton Kartar Singh (Anil) is left with the responsibility of raising his two orphaned nephews. He asks his brother (Pavan) in Punjab to raise Charan (Arjun) and his sister (Ratna) in London to raise Karan (Arjun in a double role). As a result, the twins grow up as cousins. Charan and Karan’s parents are looking for brides for them while they have girlfriends. Unable to tell this to their parents, they approach their uncle Kartar Singh for help but he messes it up all the more. What follows are a series of hilarious incidents, confusions, misunderstandings. 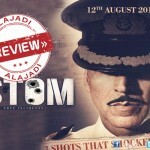 The story is funny and the film has some really hilarious dialogues. However, sardar jokes are a bit clichéd and Bollywood needs to get over it. The way the film builds up the confusion but it tends to drag towards the climax. Their are moments when you will feel it is patriarchal, racist and regressive. Also, the climax is a bit predictable. Overall, the film is a good watch where all the people will enjoy the film through entirety.The second half could have been a lot better, however the film has enough in it to entertain for 150 minutes. Go for it! Anil Kapoor: As Kartar Singh steals the show in this film. Watch the film for Anil Kapoor if not for anything else. Arjun Kapoor: He does a good job in the double roles of Karanveer Singh and Charanveer Singh. Ileana D’Cruz: As Sweety, Karan’s girlfriend delivers an excellent performance. Athiya Shetty: She plays Binkle, Charan’s girlfriend. She really needs to brush up her acting skills. Rahul Dev (as Binkle’s father), Ratna Pathak Shah (as Karan’s mother) and Pavan Malhotra ( as Charan’s father) are excellent. 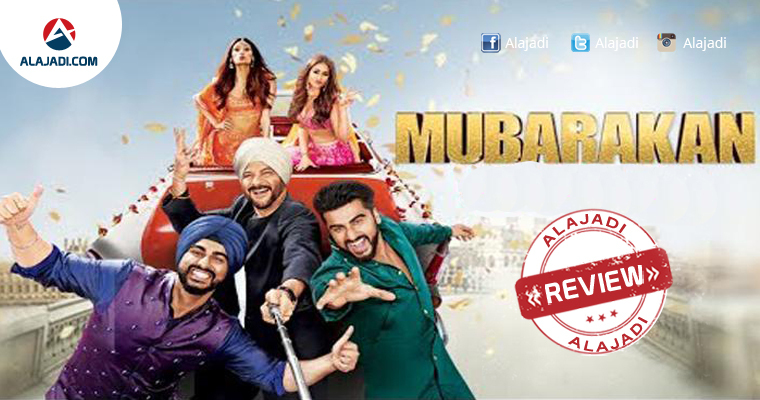 Mubarakan is a romantic comedy film with all the commercial ingredients to impress the family audience. Balwinder Singh Janjua and Rupinder Chahal have written the story and screenplay for the movie produced by Sony Pictures Networks, Murad Khetani and Ashwin Varde. The film with a runtime of 2 hours and 36 minutes, has been awarded U/A certificate by the censor board. The music is composed by Amaal Mallik, Gourov-Roshin, Rishi Rich and Background Score given by Amar Mohile. Mubarakan has rich production values and songs, background score, picturisation, costumes and dialogues are the big attractions on the technical front. Mubarakan has been shot in the picturesque locales in London and Chandigarh and has been beautifully captured on Himman Dhamija’s lens. Rameshwar S. Bhagat’s editing works fine. A special mention to the VFX team for no glitches when it came to capturing in one frame. Bollywood Celebrities Penalized For Encouraging ‘Dengue’….